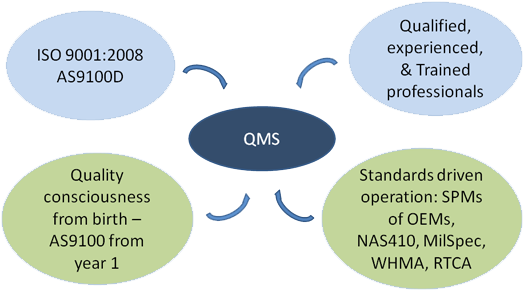 Aeronics started its operations with a sound Quality Management System (QMS) from the get go. 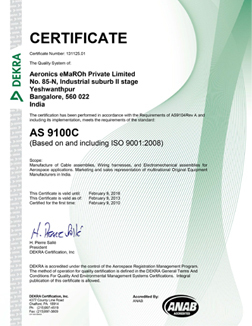 We were certified to AS9100 before making our first production shipment, making quality awareness part of our culture. 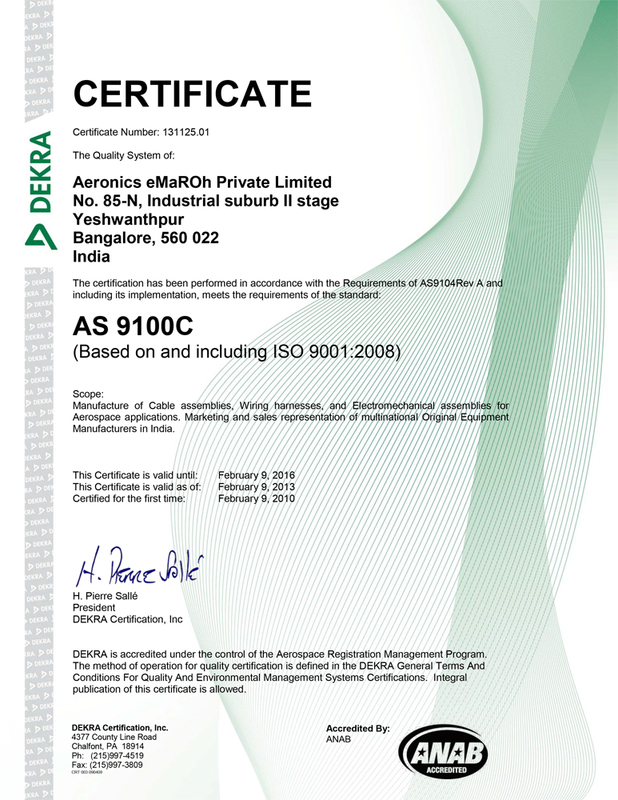 Aeronics is equipped with all new technologies, methodologies and tools to drive excellence in quality in the organization. 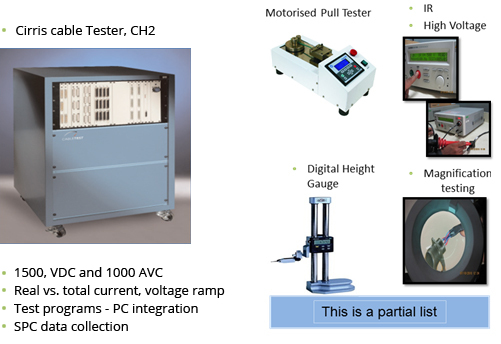 Aeronics has Cirris II automated testers, capable of testing continuity and mis-continuity, IR and DWV / Hi-Pot of complex looms with quality reports generated with computer interface to the tester. We believe that quality comes from our employees, not only from processes and equipment. 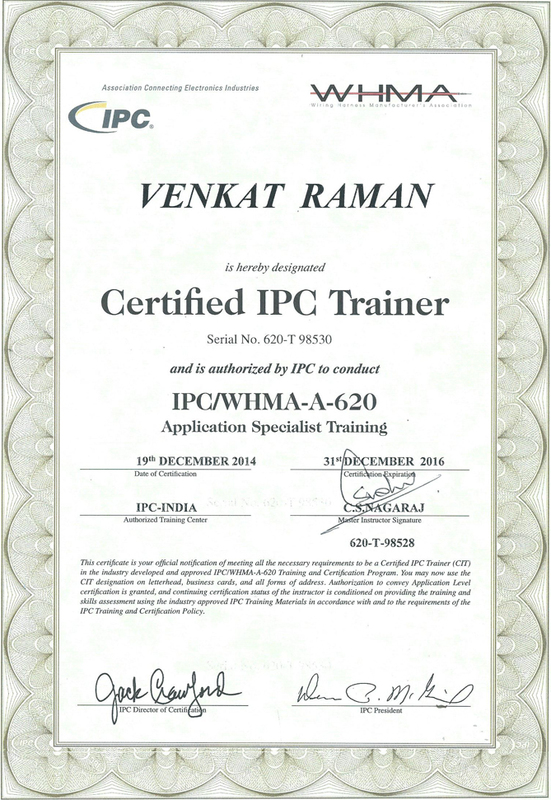 Almost all of our production employees are certified IPC/WHMA-A-620A professionals with additional in-house training on the products. We use analysis tools like Pareto, 5 whys, Fishbone, etc to ensure our products meet or exceed the requirements and expectations of our customers. We believe in preventing quality rather than detecting it and with the low volumes of our order size the answer lies in our people more than in automation. However, wherever it makes economical sense, we will incorporate tools and automation to ensure superior quality. © Copyright Aeronic. All Rights Reserved. 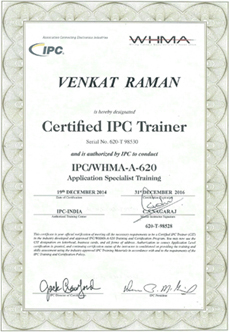 Designed by webbuild.Supported By Kripa Raman.